“If you don’t take delight in the arts, you miss a major reason for their existence.” – Tom Rooney, Interview with Anna Williams at Catholic University of America in 2010. The Tom Rooney Invitational Exhibition, at the Salve Regina Gallery and the Mullen Library, on the campus of The Catholic University of America, features selected works by past WSG “Tom Rooney Prize” winners from 2007-2017. The exhibition will honor the late Tom Rooney (1924- 2018), a sculptor and educator whose many students at CUA include Martin Puryear. Tom Rooney was one of the Founding Members of the Washington Sculptors Group (WSG) in 1984 and a longtime volunteer. During the inception years of the organization Tom Rooney was the WSG Exhibitions Committee Chair and helped organize the Annual Members Image Show. Tom Rooney’s impact and legacy will carry on in Washington DC through his students, colleagues, and friends. John Figura, Assistant Professor and director of the Salve Regina Gallery at the Catholic University, Department of Art, is a Washington DC painter who has been exhibiting his work professionally since 1977. His paintings have been seen in solo and group exhibitions here in the US and abroad. Nora Heimann, Associate Professor of Art History and Chair of the Department of Art, is a specialist in European and American Modern and Contemporary art history, and the relationship between art, religion and national identity. She is also an independent curator, and an active museum educator leading programs that seek to make art accessible to individuals with disabilities. Joan Stahl, Director of Research and Instruction at the University Libraries and Chair, Library Programming + Marketing Committee. She has coordinated several art-specific exhibitions, including the gilded art of DC artist, Kay Jackson. Mimi Frank: A Maryland based sculptor works in a variety of media. Her work often addresses social issues. She is the recipient of numerous awards and grants including two Maryland State Arts Council Grants. She exhibits her work locally and nationally. Steve Wanna: Born and raised in Lebanon, Wanna is a multi-disciplinary sound and visual artist whose work includes music, sound design for dance collaborations, sculpture, installation, photography, and works for mixed media. The Salve Regina Gallery is part of programming for the Department of Art at The Catholic University of America. Programs at the Salve Regina Gallery are devoted to nurturing the production and understanding of artistic expression with the belief that art and culture are one, and that exposure to the visual arts is an essential component of every liberal education. The goal of the gallery is to foster a greater appreciation of the arts in the context of the Catholic Church and the resources offered by the greater Washington DC area. The Mullen University Library at the Catholic University of America is part of a library system that houses books, print volumes, and provides access to electronic journals and books. In 1924, John Kernan Mullen facilitated the construction of the library through a gift and the library opened its doors to the public in 1928, as the John K. Mullen of Denver Memorial Library. WSG is a volunteer, non-profit organization dedicated to promoting awareness of sculpture and fostering exchanges among sculptors, sculpture enthusiasts and the public. Organized in 1984, membership has grown to almost 400; WSG sponsors frequent public programs and organizes professional sculpture exhibitions juried by prominent curators. Visit http://www.washingtonsculptors.org to join WSG, to view the Web Gallery of members’ work, and to subscribe to the WSG newsletter. Brentwood Arts Exchange is collaborating with the Washington Sculptors Group members for an exhibition titled Sculpture Now 2019. Begun in 1987, the Sculpture Now series provides an annual snapshot of up-to-the-moment works by artists in the mid-Atlantic region and beyond. The series also includes the Tom Rooney Award of $500. Sculpture today is a rapidly evolving genre that reflects the volatile changes in global conditions. Whether conceptual, political, cultural, environmental or personal in context, the biography of the artist continues to be central to the artwork. In this spirit, Sculpture Now 2019 does not have a particular theme. It is an open and inclusive platform that invites artists to put forward their latest ideas on conceptual theory and best practices regarding materials used in sculpture. The exhibition is designed to give WSG artists free rein, to propose work to the juror, or to show work produced within the last two years. The exhibition will be installed at the Brentwood Arts Exchange main gallery in Brentwood, MD. This exhibition will take place separately, but in conjunction with the Tom Rooney Remembered Invitational exhibition at the Salve Regina Gallery and the Mullen Library on the campus of the Catholic University of America. Works by Tom Rooney and past Tom Rooney Prize winners from 2007-2019 also will be shown at CUA. 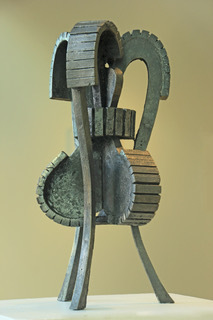 Both shows – Brentwood Sculpture Now 2019 and the Tom Rooney Remembered Invitational – will honor the late Tom Rooney (1924- 2018), sculptor, educator, and WSG volunteer. During the Brentwood exhibition, the 2019 Tom Rooney prize will be awarded at Brentwood Arts Exchange. Spencer Dormitzer, Director of Brentwood Arts Exchange, oversees the administration and development of the facility, as well as the changing annual exhibitions. Mr. Dormitzer attended The School of Art Institute of Chicago, and has been a working artist for over 25 years. He has acted as the studio manager for New York abstractionist David Reed, and as an executive producer for the New York Cosmos. Dormitzer has just concluded his tenure at Joan Hisaoka Healing Arts Gallery in Washington, DC after 3 years of service, where he managed or curated over 15 exhibitions. Spencer lives on Capitol Hill in Washington, DC. Brentwood Arts Exchange is a proud part of the Maryland – National Capital Park and Planning Commission, and serves as an anchor for the arts-based community development of the Prince George’s County Gateway Arts District. They support artist and community development by welcoming diverse audiences to experience high quality visual art exhibitions, concerts, and affordable art classes for all ages, and a local artisans craft store. The Washington Sculptors Group (WSG) is a volunteer, non-profit organization dedicated to promoting awareness of sculpture and fostering exchanges among sculptors, sculpture enthusiasts and the public. Organized in 1984, WSG has grown to serve almost 400 members annually. WSG sponsors frequent public programs and organizes professional sculpture exhibitions juried by prominent curators. Visit www.washingtonsculptors.org to join WSG, to view the Web Gallery of members’ work, and to subscribe to the WSG newsletter. WSG P.O. Box 42534, Washington, DC 20015, 202-686-8696, gro.s1555988459rotpl1555988459ucsno1555988459tgnih1555988459saw@o1555988459fni1555988459. Supporting Sculptors and the Arts Since 1984. 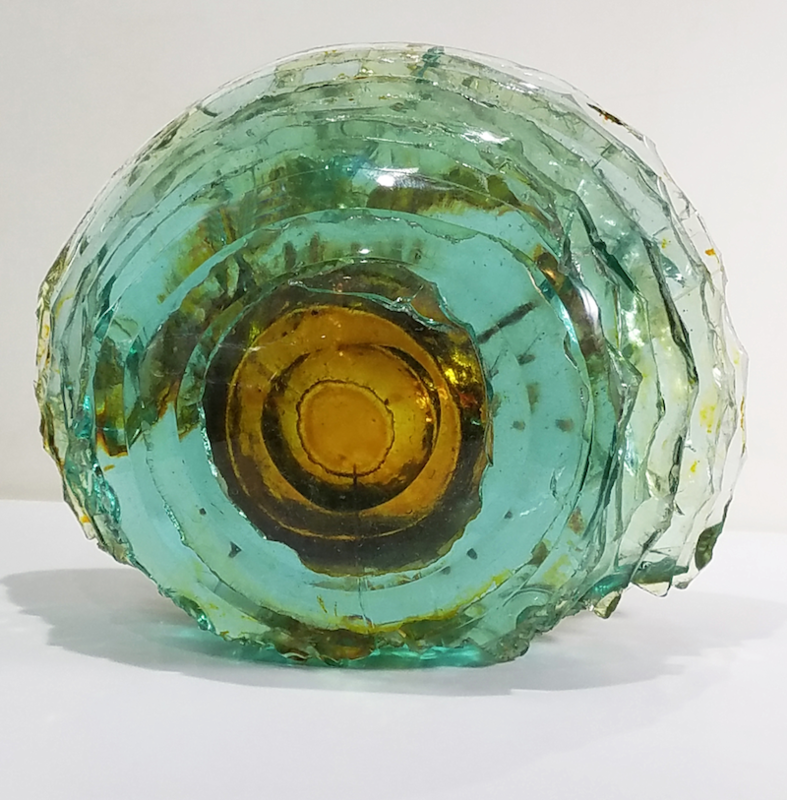 Image: Alan Binstock, Orb, Rebirth 2012, Glass, 12″ x 5″ x 10″. Photo courtesy of the artist. For the artists in Shadowlands, the outward exploration of natural phenomena becomes a reflection of a personal, inner journey of discovery. Although their visions involve a different language and may appear opposed to those of scientists, the committed passion, the insatiable curiosity and the ongoing risk- taking make artists and scientists kindred spirits. Most importantly, their fundamental quest is the same – to understand why things are the way they are. As Sir Isaac Newton Mused in 1704, “ Have not the small Particles of Bodies certain Powers, Virtues or Forces, by which they act at a distance, not only upon the Rays of light for reflecting, refracting and reflecting them, but also upon one another for producing a great part of the Phenomena of Nature. Sarah Tanguy worked at the Hirshhorn Museum and Sculpture Garden, the National Gallery of Art, the International Exhibitions Foundation, The Tremaine Collection, the International Sculpture Center, as well as the Smithsonian Institution Traveling Exhibition Service and the Hechinger Collection. In 2004, she became a curator at the office of Art in Embassies, U.S. Department of State, while continuing to pursue freelance projects. Tanguy has produced many exhibitions in the local DC area and written for Sculpture, and American Craft among other publications. Tanguy has curated an exhibition series for the American Center for Physics, which put her in touch with the latest in theoretical physics and led her to discover artists who explore the intersection between art and science. The Washington Sculptors Group (WSG) is a volunteer, non-profit organization dedicated to promoting awareness of sculpture and fostering exchanges among sculptors, sculpture enthusiasts and the public. Organized in 1984, membership has grown to almost 400; WSG sponsors frequent public programs and organizes professional sculpture exhibitions juried by prominent curators. Visit www.washingtonsculptors.org to join WSG, to view the Web Gallery of members’ work, and to subscribe to the WSG newsletter. WSG P.O. Box 42534, Washington, DC 20015, 202-686-8696, gro.s1555988459rotpl1555988459ucsno1555988459tgnih1555988459saw@o1555988459fni1555988459. ©2019 Washington Sculptors Group, all rights reserved.